Another day, another hire for Doug Pederson‘s staff. According to a report last night from FOX’s Mike Garafolo, the Eagles will hire John DeFilippo as the team’s new quarterbacks coach. 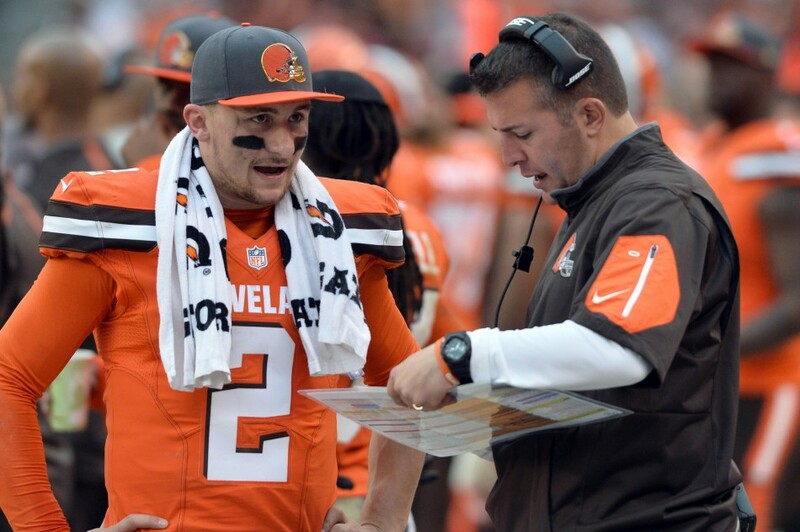 Eagles will hire former Browns OC John DeFilippo as QB coach, sources tell me and @PSchrags. From Manziel to Bradford (maybe). @MikeGarafolo DeFilippo interviewed for Niners HC, was in mix for Rams OC. Carson Palmer said he’ll be a HC someday. Big hire for Pederson. Garafolo’s follow-up tweet makes it seem that Pederson snared a popular young coach for his staff in the 37-year-old DeFilippo. A native of Radnor, Pa., the former Browns offensive coordinator got his turn at the turn of the century as a quarterbacks coach at Fordham. DeFilippo moved from there to Notre Dame, and then to Columbia, before seeing his first NFL opportunity as an offensive quality control coach with Tom Coughlin‘s Giants in 2005, where he stayed for two years. In 2007, DeFilippo became Lane Kiffin‘s quarterbacks coach with the Raiders. In his first year, the team had an anemic rotation at the quarterback position, including first-round pick JaMarcus Russell, past-his-prime Daunte Culpepper, and journeyman backup Josh McCown. As a team, the Raiders ranked 24th in touchdowns, 23rd in interceptions, and 31st in passing yards in 2007. The team installed Russell as the full-time starter in 2008, and while he completed just 53.8 percent of his passes, Russell threw 13 touchdowns to just eight interceptions, an impressive mark considering he finished his career with five more interceptions than touchdowns. In 2009 DeFilippo accepted the same position, quarterbacks coach, with Rex Ryan‘s Jets, where Mark Sanchez endured one of the worst years by a Jets quarterback in some time. Sanchez completed 53.8 percent of his passes, threw 12 touchdowns to 20 interceptions, and averaged just 6.7 yards per attempt. The Jets didn’t retain DeFilippo for the 2010 season; instead, he accepted the quarterbacks coach position at San Jose State, where he coached for two years before returning to the Raiders as quarterbacks coach in 2012. In 2012, Carson Palmer completed 61.1 percent of his passes and threw 22 touchdowns to 14 interceptions under DeFilippo. The next season, saddled with Terrelle Pryor and Matt McGloin, DeFilippo’s quarterbacks completed 57.4 percent of their passes, throwing 17 touchdowns to 20 interceptions. Then, in 2014, DeFilippo finally got a crack at a pro-quality young quarterback in Derek Carr. In his rookie year, Carr completed 58.1 percent of his passes and threw 21 touchdowns to 12 interceptions. Carr’s production earned DeFilippo the offensive coordinator job with the Browns this past season, when he once again had a rotating stable of quarterbacks to work with. On aggregate, Johnny Manziel and Josh McCown threw 20 touchdowns to 12 interceptions in 2015, and both Gary Barnidge and Travis Benjamin had productive seasons. But DeFilippo was let go with Mike Pettine at the end of the year, making him available for the Eagles’ quarterbacks job.